Venetian ornaments make elegant decorations for the holiday season, and these blown heart ornaments will look beautiful hanging from either your tree or your mantel. 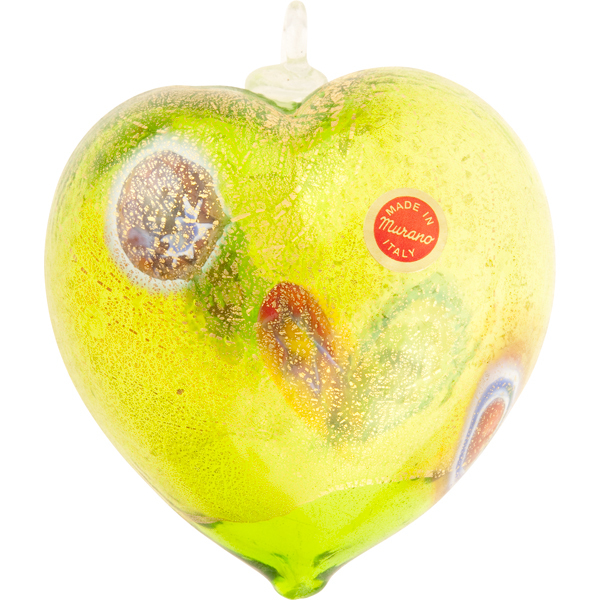 Each heart is handmade in Venice by skilled artisan glass blowers and may vary slightly in design and size. Approximately 4 inches tall (bottom to top of bail), 3 1/4 inches wide, and 2 inches thick. The color is a base of green Murano Glass with multi colors of millefiori.